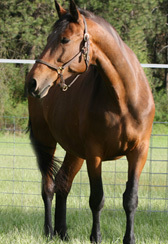 In 2001 was Registered in the Premium Mare Book for the Oldenburg Registry N.A. with 108 points. As a grand daughter of Cor de la Bryere with lineage back to Zeus and Don Carlos, her foals have been superior and highly competitive. 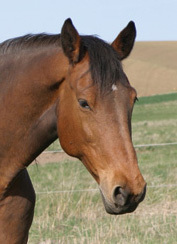 Corina has had a successful career as a broodmare. 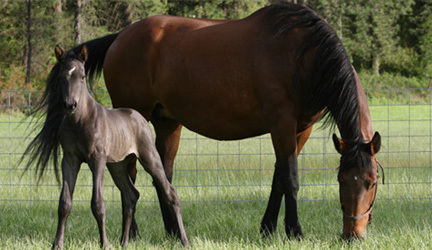 She has raised over 10 foals, all being healthy sound horses. To the experienced breeder, these are fantastic numbers considering the average breeding program expects only a 50-60% success rate (live foal) in their foals. Passion: Born 2003 -Read Article.